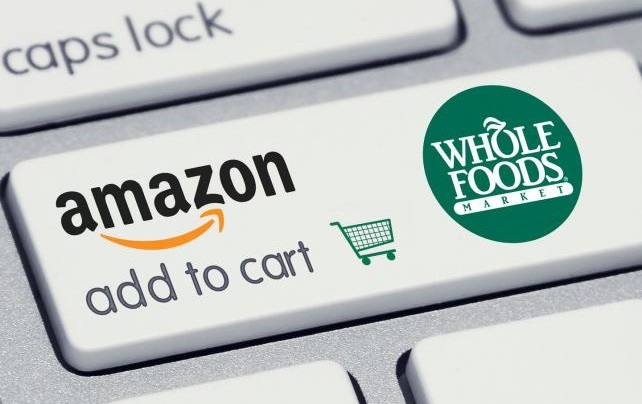 A Commercial bridge loan for up to US$13.7 billion to back Amazon’s purchase of upscale grocer Whole Foods Markets, which is the second-largest US commercial bridge loan of this year, is stoking merger-related financing that has been stifled by prolonged uncertainty about the Trump administration’s policies. Even with Amazon’s 364-day loan, which is also the thirteenth largest in the past two decades, US bridge financing of about US $57 billion this year is 21 percent lower than the same period last year, including deals closed and in process. As a result, fee income for banks arranging and syndicating the bridge facilities and longer-term funding is being liquidated. Commercial bridge loans are usually replaced with permanent financing, including equity and bonds. “Everyone is hoping that Amazon and Whole Foods is the start of the next wave, but there’s no telling if that’s the case or if there won’t be anything else big until there’s more clarity around tax policy. Amazon.com said it expects to fund its US$13.7 billion merger with debt that could include senior unsecured notes, commercial bridge loans, term loans, or any combination, along with cash on hand. The Whole Foods acquisition, which according to Thomson Reuters ranks as the eleventh biggest global retail deal and the fourth biggest US retail deal on record, will help boost fee income for lenders at the tail end of a tough first half. Bridge financing so far this year roughly matches volume in the same period of 2015, and is the lowest since about US $31 billion four years ago. Earlier this year, several high-profile insurance company mergers were scuttled by US antitrust rulings, and the lack of action on tax, trade and healthcare legislation is stifling the pace of new M&A, bankers noted. Some of this year’s borrowers are replacing commercial bridge loans more quickly with permanent financing, expecting little regulatory scrutiny or opposition to their M&A deals, several bankers and analysts said. At the same time, companies are taking advantage of ongoing lofty investor demand for bonds and other debt, and looking to lock in still low borrowing costs. Given the hardiness of the markets, and the current situation with a lot of borrowers not having significant antitrust issues, borrowers have elected to hit the bond market immediately versus waiting a couple of months. The swifter pace of swapping from commercial bridge loans to bonds, as well as the reduced overall loan volume, is weighing on total fees earned by lending banks. Fee income from providing commercial bridge loans is US$109 million so far this year, a 47 percent slump from the same time last year, according to a Freeman Consulting Services analysis based on LPC data. The fees earned from arranging permanent financing on those loans have also declined, although more modestly, by around 21 percent to US $172million. US medical supplier Becton Dickinson’s US$15.7 billion commercial bridge loan to buy medical technology company C R Bard, this year’s largest US bridge financing, is an example of the quicker turnaround to longer-term debt.